I am extremely thankful for the support and love my family has given me. My husband, John, has been with me at every visit to CTCA. My children have also been supportive through this journey. I have so much to live for, and am planning to be around for a very long time. I was 66 years old when I began having difficulty breathing through my nose. It was summertime, so I thought that allergies were probably the cause. But that autumn I took a trip and experienced a massive nose bleed during the flight. I am a registered nurse and I was concerned about this occurrence. The stuffiness was interfering with my running. 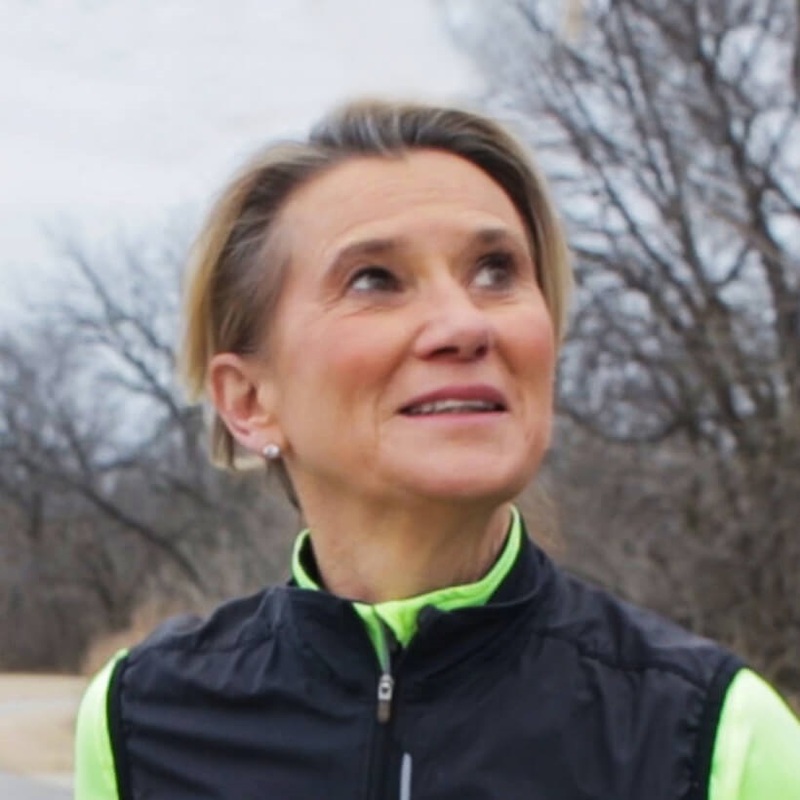 I started running marathons at age 50, and have completed 29 since then. I love running, and this breathing issue was interfering with one of my favorite activities. It was also interfering with my sleep, another favorite activity. I had a problem and it needed to be solved, and the treatment so far hadn’t achieved that result. My primary care physician ordered a computed tomography scan. After receiving the diagnosis, I started investigating treatment options. I met with specialists and various surgeons. One radiation oncologist went into great detail about the side effects of radiation, alerting me that my teeth could fall out or I could go blind. I felt completely disillusioned and discouraged. Nothing felt right. I worked at Cancer Treatment Centers of America® (CTCA) in Tulsa from 1995 to 2001, and decided to seek a second opinion there. The surgeon who had diagnosed the cancer had actually suggested that I speak with Dr. Bradley Mons, an otolaryngologist at CTCA® who focuses on head, neck and microvascular reconstructive surgery. In other words, his specialty is on the surgical removal of cancer from the head and neck and the accompanying reconstructive surgery to repair the area afterwards. I was still very much in problem-solving mode, and I made an appointment with Dr. Mons. From the start, Dr. Mons was kind and compassionate, and his knowledge and expertise inspired my confidence. He knew that I was a nurse who had worked with cancer patients, but he did not assume that I understood everything. He took the time to explain my diagnosis and his recommended treatment. Dr. Mons suggested that I undergo a partial maxillectomy, a form of open surgery. The operation involved removing sinuses and part of my upper jaw in order to take out the tumor. He described to me exactly how the procedure would go. He would make an incision from the top of my nose to the bottom, and then across my cheek to create an open flap. He would clear out all the cancer from my sinuses, including any malignant areas in the interior of my nose. I asked how he would be sure if all the cancer was removed during the procedure; how would he know that the margins were clear? I wanted to be sure that he would verify this during the surgery so that I would not need to go through it again. Dr. Mons explained to me that conducting this type of pathology study during the operation was his desired approach. He would look at my tissue under a microscope right away. He would also do the reconstructive portion of the surgery at the same time. Dr. Mons has expertise in microvascular reconstruction, the reconnecting of blood vessels that are three to four millimeters in size using a suture that is thinner than a hair. Once Dr. Mons explained his approach, I knew that all would be well. My sole objective was to return to my lifestyle. “I’ll do my best to help you do that,” he told me. After the surgery was complete, Dr. Mons told me that the margins were clear. He has continued to do endoscopic exams every month since my procedure, and the margins have continued to be clear. He warned me that the two-year mark was a common time for recurrence. Fortunately, I made it past that hurdle with no signs of cancer. I am back to running and the life I was living prior to my cancer diagnosis. I love my work, and next year, I will climb the Grand Canyon to celebrate my 70th birthday. Now I know that cancer was never the end of the road. We all face challenges in life but we also all have to get up each day and realize that we each have our own purpose to discover.